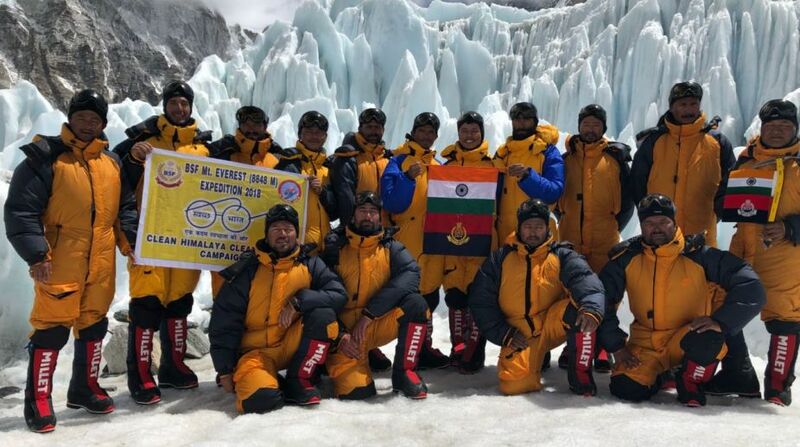 Bringing laurels to the state, six Border Security Forces (BSF) personnel, including the team leader, belonging to Himachal Pradesh have scaled the Mount Everest. This is for the second time that the BSF’s Mt Everest expedition was led by a Himachali. Earlier, in 2006, the then BSF Deputy Inspector General (DIG) SC Negi, hailing from Kinnaur district, had led a similar expedition. This time, the BSF team was led by two leaders, Assistant Commandant Padmashree Lovraj Singh Dharmasaktu from Uttarakhand and Deputy Commandant Avinash Negi from Kinnaur. Hailing from Batseri village of Sangla in Kinnaur district, Avinash Negi (37) is a trained paraglider and a qualified skier. He has on earlier occasion successfully lead the BSF team and scaled Mount Jogin 1 (21,360 ft) in the year 2017. After summiting the highest peak in the world, the BSF team is proceeding for Kathmandu and will reach India in the first week of June, Avinash Negi told The Statesman. The first team headed by Lovraj Singh climbed the Mt Everest in the wee hours of 20 May, while the second team headed by Avinash Negi at 7.45 am on 21 May. 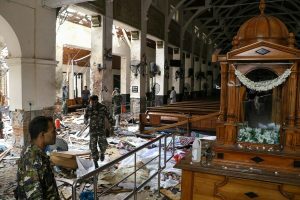 “In the last 48 days, the team braved extreme weather conditions, the fury of nature in the form of high velocity winds up to 50 miles per hour, temperatures dipping to minus 45 to 50 degrees, heavy snowfall and breathlessness owing to lack of oxygen. However, what kept the team motivated was a strong determination and a sense of accomplishment,” said Negi. “The two teams had all serving 15 BSF personnel’s including six Himachalis, four from Uttrakhand, two from Jammu and Kashmir and three from West Bengal and Darjeeling,” he said. Besides, Avinash Negi other Himachalis include Ravi Kant from Kinnaur, Praveen Kumar and Pritam Singh from Kangra district, Sunil Kumar and Praveen Singh from Mandi district. During the expedition, the BSF teams also initiated cleaning of the base camp and collected more than 750 kg of trash, besides setting up of the world’s highest medical camp at the base camp for the poor and needy ‘Sherpas’ an ethnic group, native to the most mountainous regions of Nepal. The BSF Mount Everest expedition was flagged off from Delhi by Minister of Information and Broadcasting Col Rajyavardhan Rathore on March 20.